Never as now in the Western world has the body received so much care and attention. 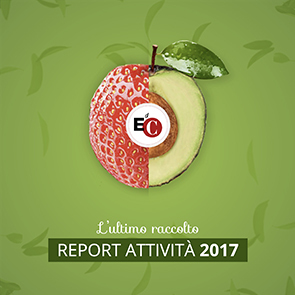 The whirl of business surrounding body care is striking: In Italy, around 15 million Euro a year is spent annually on products, massages, beauty farm, esthetic surgeries, fitness, tanning beds, weight-loss drugs, etc., and this amount continues to increase. Body care is becoming a true cult, with rites, liturgies, temples and priests. But if we look at the phenomenon carefully, we realize that it´s a complex question, and it has it´s dark sides. First of all, the body care we´re looking for is above all that of our body or our face. We´re only interested in the bodies of others if they are beautiful, young, healthy, in shape, attractive, and if the others are our family members. Consumerism, in fact, is becoming a religion that promises eternity: the car I have right now will no longer be new in a few months, but I can buy an identical one (and one that´s a little better), with the illusion of having a car that is eternally new. It works the same way with all products, bodies included: with care, products and surgeries, we want to defeat time and aging. But sooner or later, the moment of illness and fragility will arrive, for us and for others, and this culture does not help us face this. So the sick, the fragile, the ugly, the old and the dead are all emarginated. You don´t see funerals anymore in our cities. Since I was born, I grew up surrounded by life, and by death, which was a part of life. Our houses were places of life and death, and people grew up a little reconciled with that fact (one has to reconcile himself with death all his life). We find this same absence of body in social networks (Facebook, for example). If we limited ourselves to "meeting" constructed "people", virtual "people", and we don´t meet the other with his or her complicated, ambivalent physical aspect, then these splendid inventions might just lead us right out of our humanity, as the human does not exist with the body. It is our body, above all, that says who we are and where we are. It´s the body that makes us distinct and truly different from each other, also telling us and others about our limits. Marginalizing or venerating the body, therefore, are two sides of the same medallion: the illusion that it is possible to live well without accounting for the fragility and vulnerability of ourselves and others.